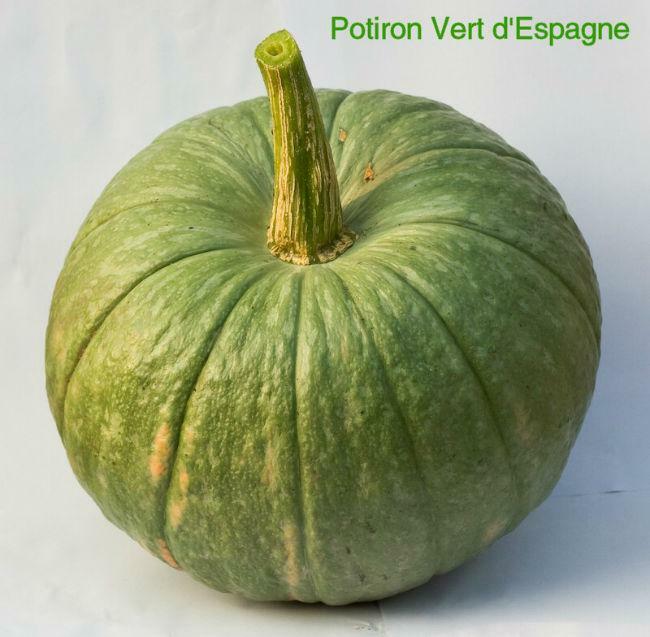 Vert d'Espagne or Green of Spain. 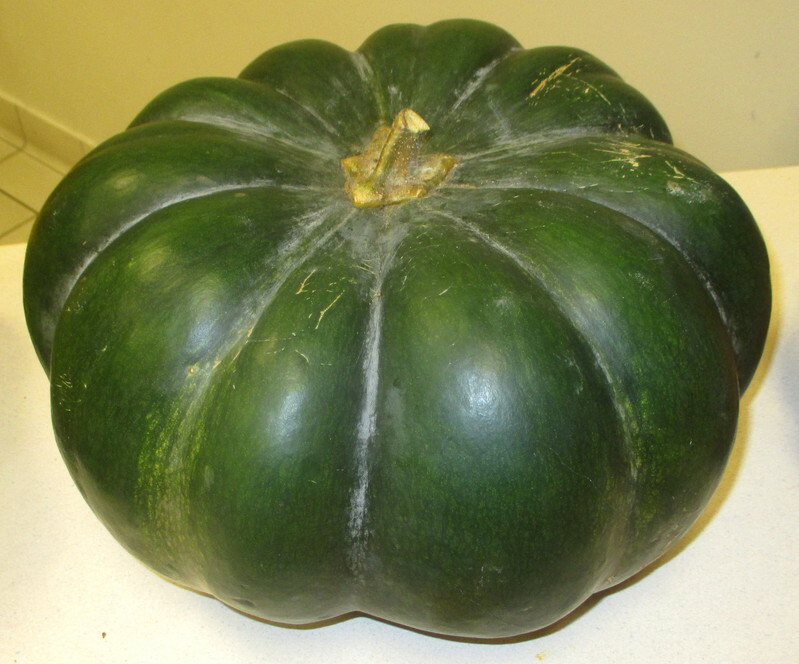 The flattest winter squash. Green, fine bumpy skin that turns grayish, orange-yellow flesh, quite thick. It weighs 3 to 5 kg.